Construction of the load bearing walls has begun. If you walk past the Church you can clearly see outlines of the building as well as internal and external walls. 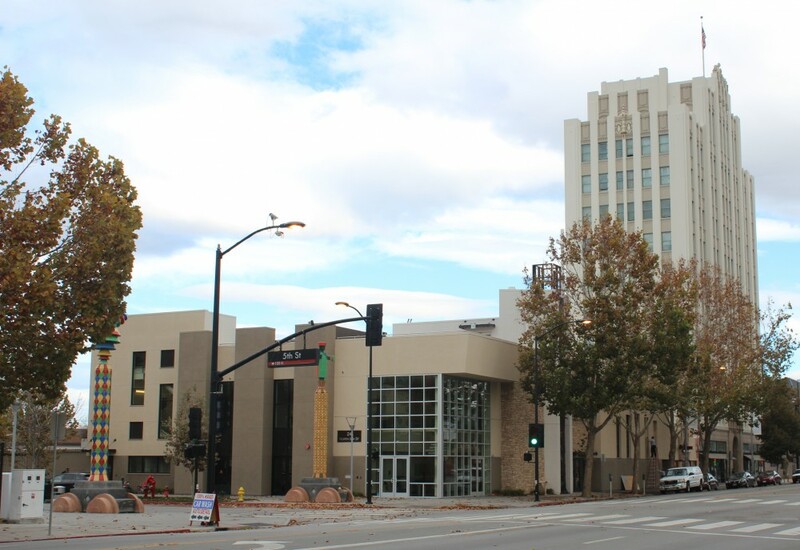 A significant cost savings was realized with the “concrete masonry unit” approach proposed by South Bay Construction in collaboration with our architect Vitae Associates and structural design team Structural Engineers, Inc. The previous design featured a steel frame construction technique that required hundreds of steel components to be installed for the support structure. The CMU approach, in concert with a few main beams and a simplified foundation (as described in the previous post “Footers in Place“), saved the Church hundreds of thousands of dollars. 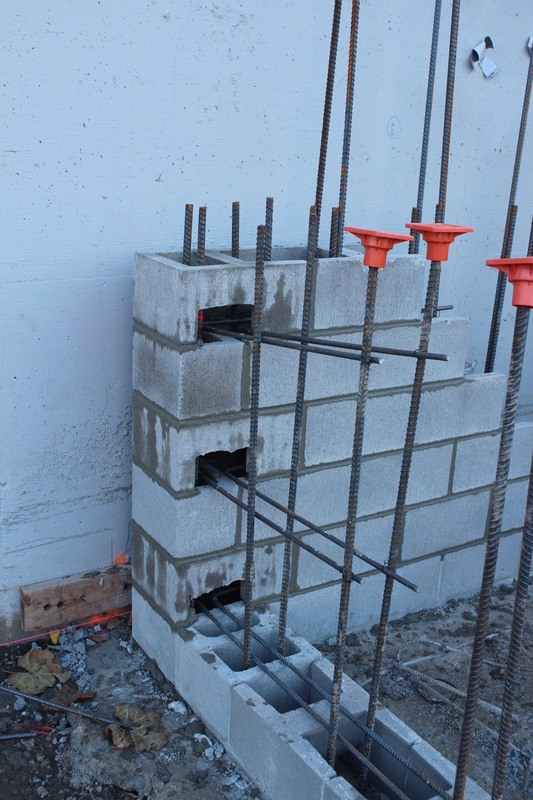 To build these walls “H” shaped cement blocks are placed on the foundation that contains “re-bar” reinforcements. The blocks are then stacked up, and high-pressure grout is added for stability. Grout, according to one of our east coast technology sources, is simply sand and cement – either without stone or with a much smaller stone. The pressure rating comes from the amount of cement in the mix. The main difference between grout and concrete: concrete also contains 3/4″ stone to increase the shear strength while grout contains no stone or much smaller stone (in our case 3/8′ rather than 3/4″) to increase the strength. The pictures below show the beginning of the CMU construction. This step includes building a 4′ high segment of the wall. 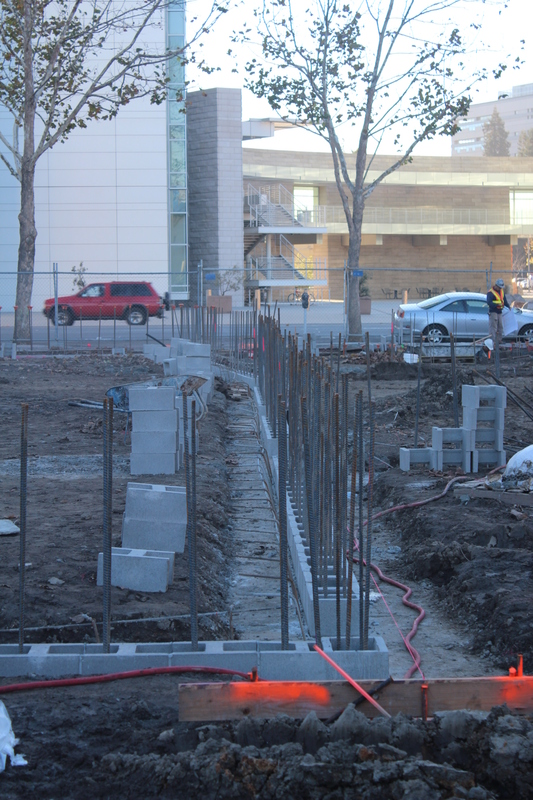 After inspections and further foundation work, the wall will then continue to grow taller. Also check out the “parking lot views” which show progress over last few weeks. They are HERE (or use tab above). Here are a few pictures taken from our Axis Network Cam located on the 11th floor of city hall. 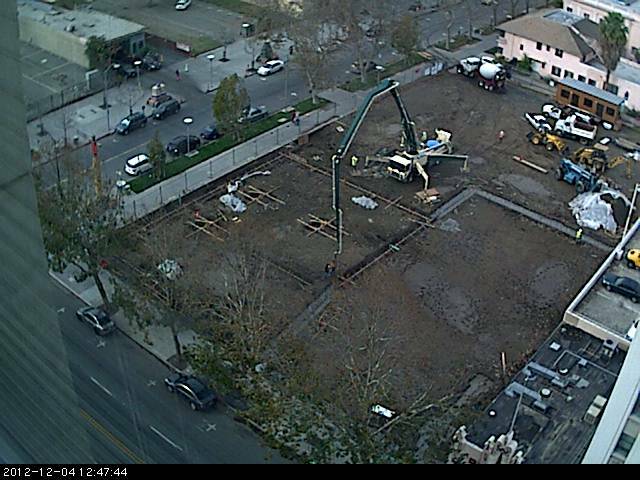 The footers are nearly been completed in the first picture below, and the foundation supports are completed in the lower picture. This view clearly shows the simplicity of the current approach. 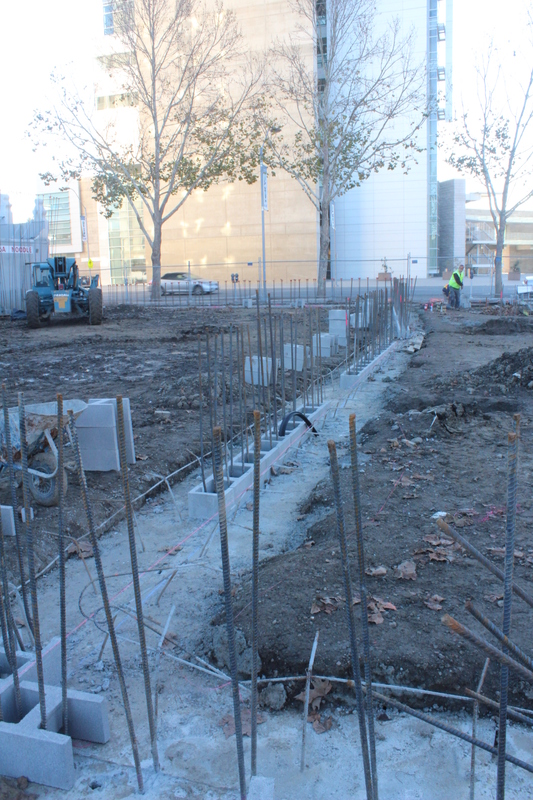 SBC, Vitae Architects and Structural Engineers, Inc. used a “spread footer” approach for our building. This approach is based on previous experience with similar buildings along with a sound knowlege of both design methods and cost factors. 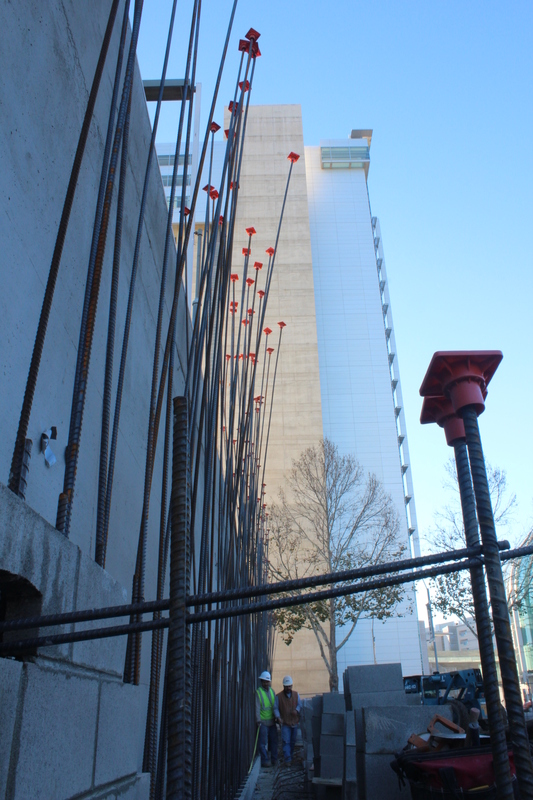 The previous design, which we could not afford, called for a series of underground pilings and footers. 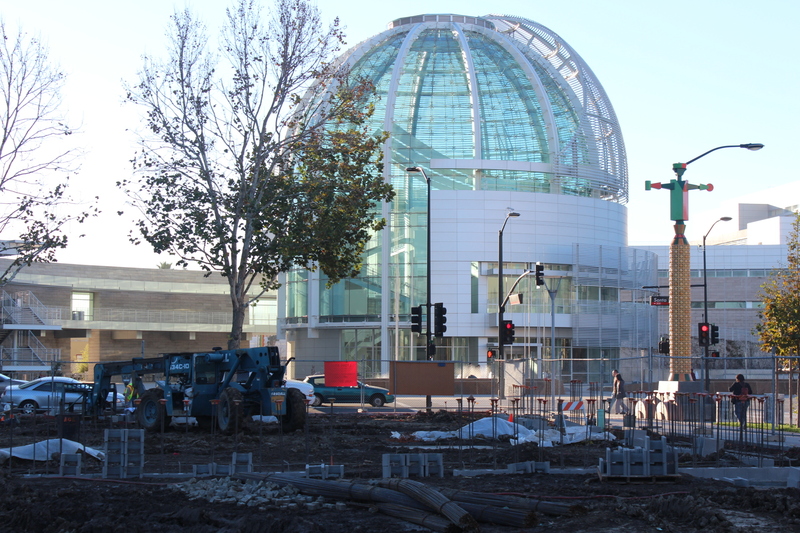 Over Thanksgiving weekend we had 4″ of rain in San Jose. That was enough to create quite a mud pit at the construction site but not enough to delay the pouring of the foundation. 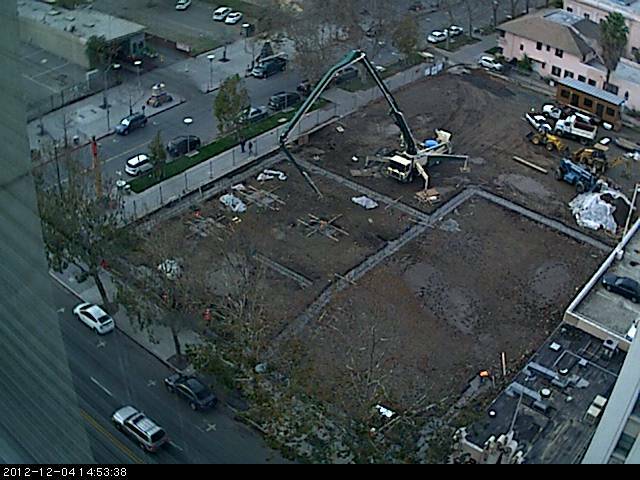 SBC is focused on schedule now, so loss of today’s pour could have set them back a few days given the forecast. Kudos to their teams for completing the pour. The pictures below were taken this morning as they wrapped up preparations for the pour by cleaning out some of the forms to remove any mud that would reduce the required clearances. 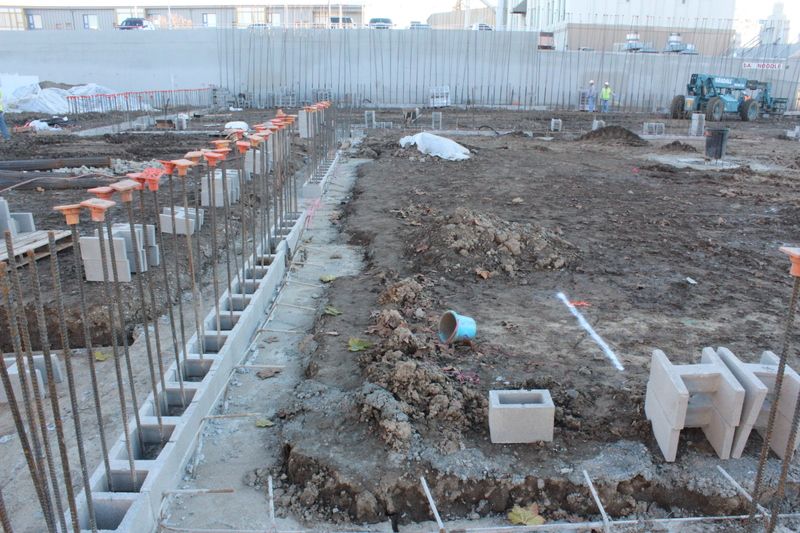 The pictures below show both the footers that surround the building as well as the foundation supports for the roof and upper floors. 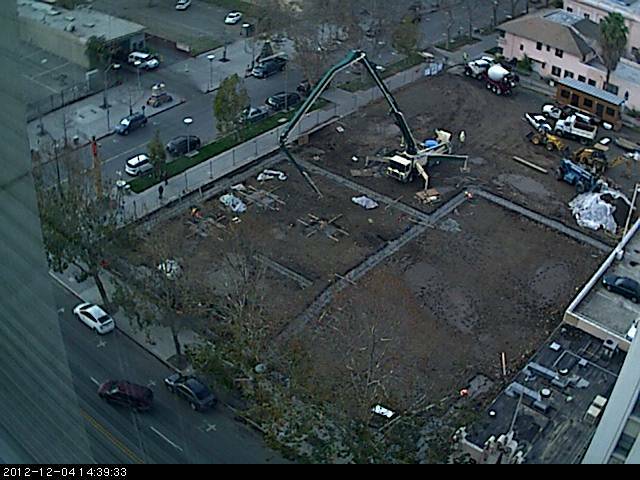 After preparation and inspections, the cement pump showed up to prepare for the pour which took place late morning through mid-afternoon.